Debbie is PASSIONATE! Passionate about providing you the highest level of personal service! With over 35 years experience in the industry, she knows her extensive knowledge in this ever changing business will give you the confidence to navigate the loan process stress free. She is determined to get you the right loan, to lock in a competitive rate and make your loan process anxiety-free, trouble free and completely satisfying every step of the way! Her business is based on honesty, integrity, customer service and referrals. 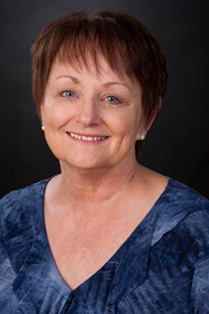 Debbie started her career in the Mesa/Phoenix area and has lived in Flagstaff for the past 20 years. She is active in community organizations. In her spare time, she likes spending as much time as possible with her family especially her grandkids! Peoples Mortgage Company offers a wide variety of loan programs with competitive rates and fees. We offer local processing, underwriting and funding so we have control over the complete loan process. Whether you are just shopping or ready to make an offer, Debbie can help you prepare. If you are shopping for a home, get a free pre-qualification to learn how much home you can afford. Ready to make an offer? Get a pre-approval firm letter of commitment for a loan from Debbie Cutlip and Peoples Mortgage!